Extra Details: I started with a card base made from water color paper. 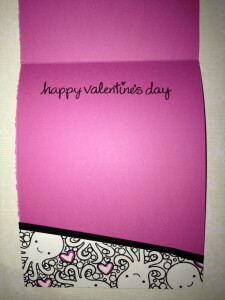 Using a mini round ink blending tool, I ink blending three Distress Inks on the card front. I used Candied Apple, Picked Raspberry, and Spun Sugar. I started with the darkest color and the top and tried to fade out to white at the bottom. I let the ink dry overnight. 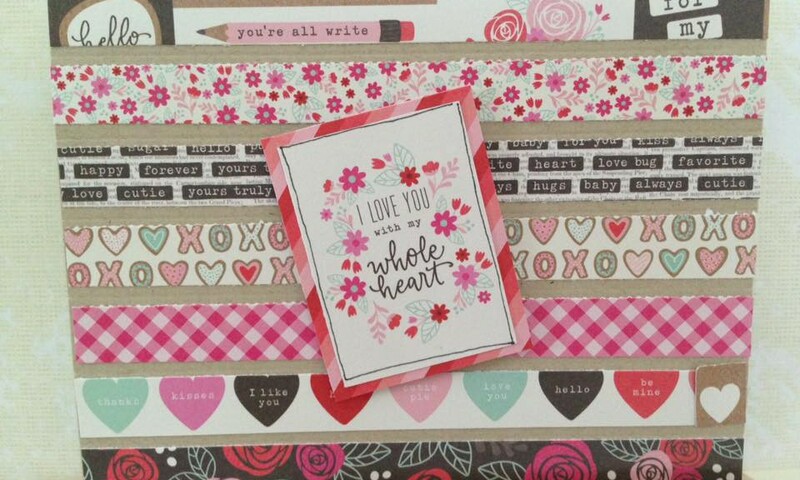 Using Versa Mark Ink, I stamped and clear embossed a heart pattern on the ink blended card front. 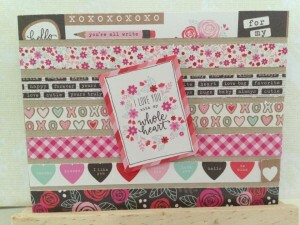 I used the small heart stamps from Lawn Fawn’s Science of Love Stamp set. 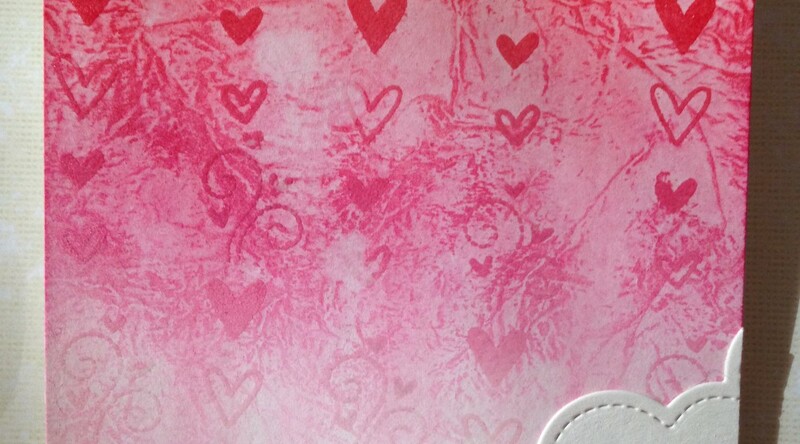 After I had melted the embossing powder, I place a damp paper towel over the whole card front. I love the effect that the damp paper towel created. 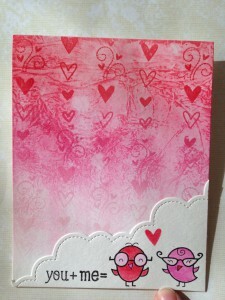 While the card base dried again, I die cut a puffy cloud border from a scrap of water color paper. I stamped the sentiment and bird images on the cloud. I used the same Distress Inks to water color the bird images. 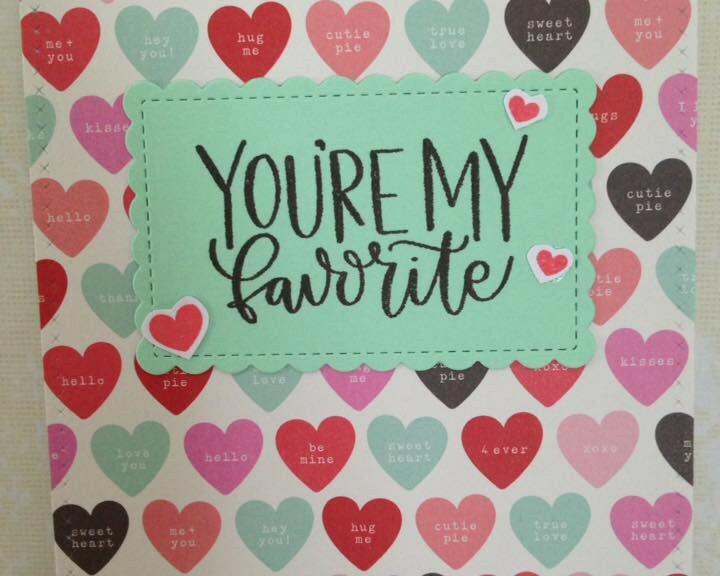 I added the rest of the sentiment to the inside of the card. 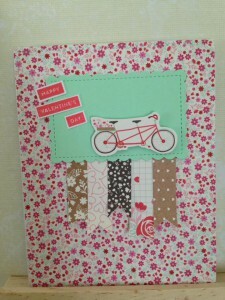 Lastly, I adhered the cloud border to the card front once everything was dry. 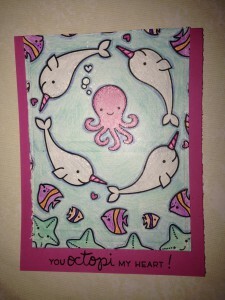 Sandy Allnock created a card using Lawn Fawn’s Octopi My Heart. She created a beautiful Zentangle type of background. Once I watched her video, I knew I had to try it. Here is my take on her idea. 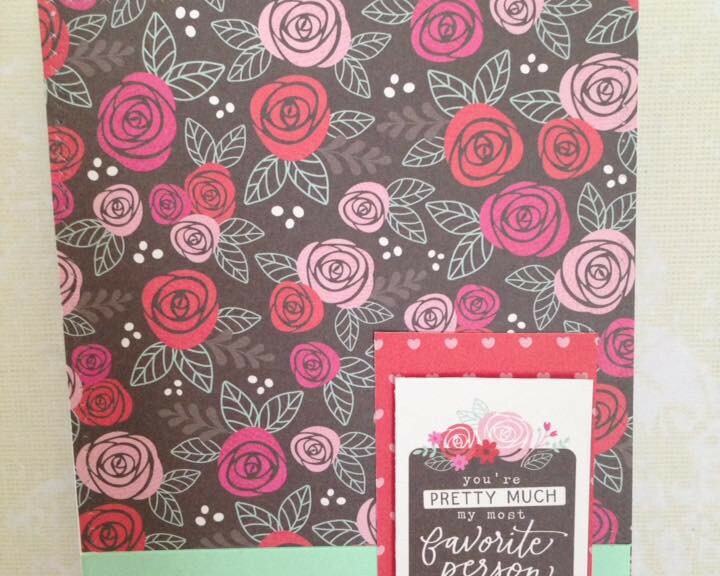 Extra Details: I started with a panel of white card stock. 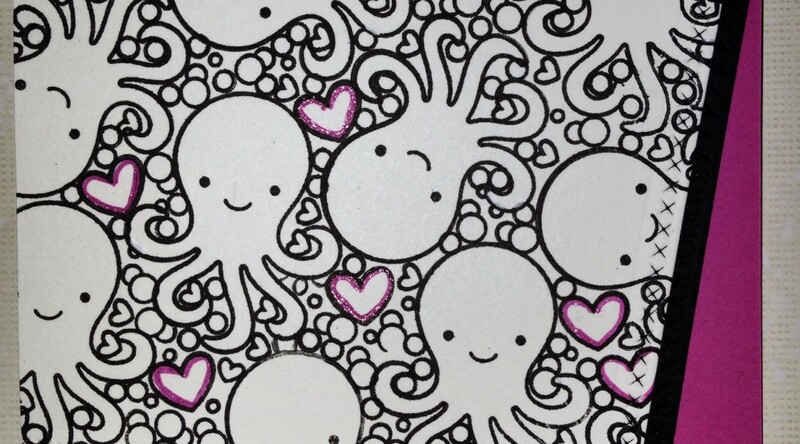 I stamped as many octopi as I could fit on the panel. 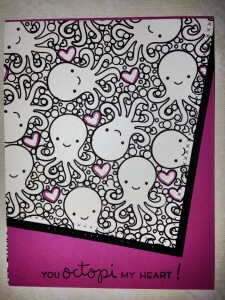 Then, I added the large heart in the spaces between the octopi. 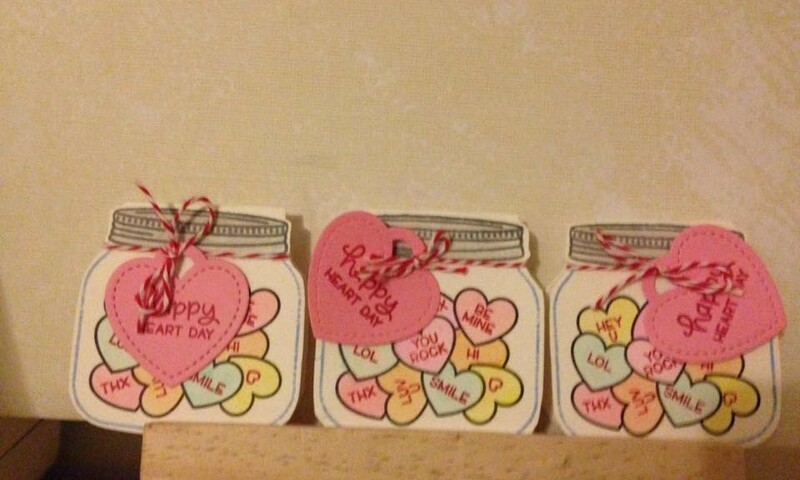 I filled in the remaining areas with the three bubbles, small heart and small bubble. I loved the way the background turned out, but I thought it needed a little color. 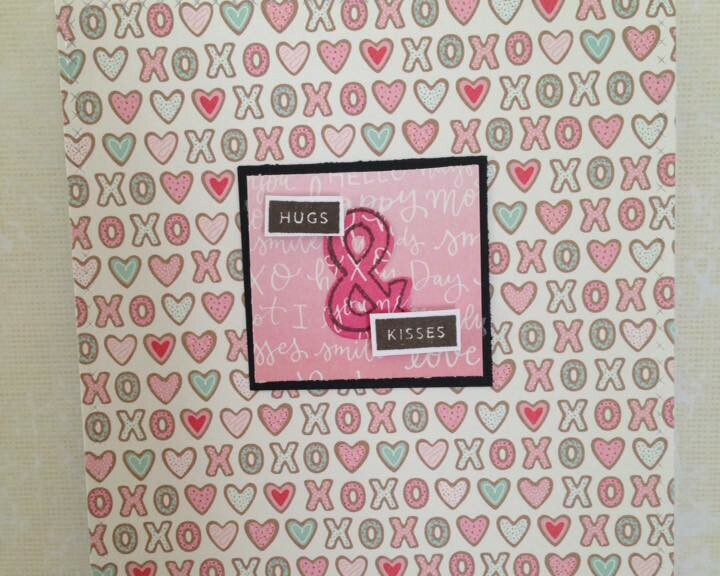 I used some glitter pink gel pen to outline the large hearts. It was the perfect touch. 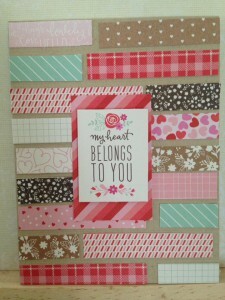 Next, I created a pink card base. 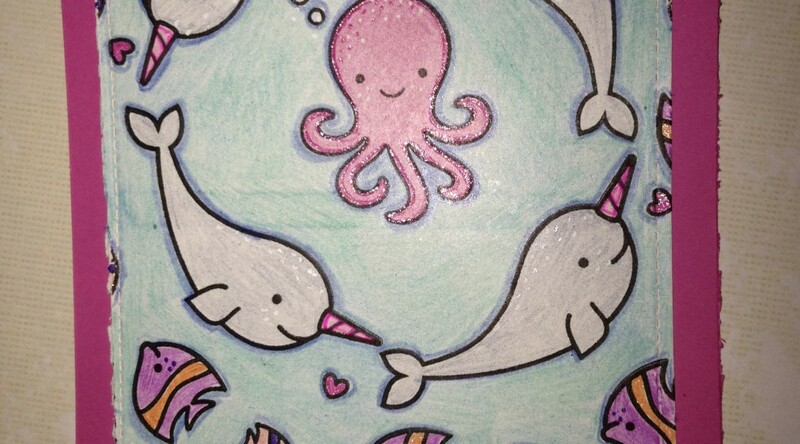 I tried to match the cardstock to the glitter gel pen color. 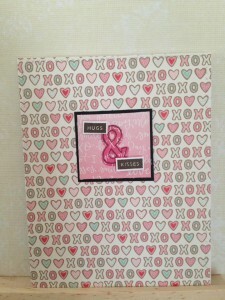 Using a stitched rectangle die, I cut my stamped panel at an angle. 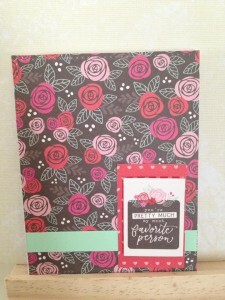 I also cut some black card stock using the same die. 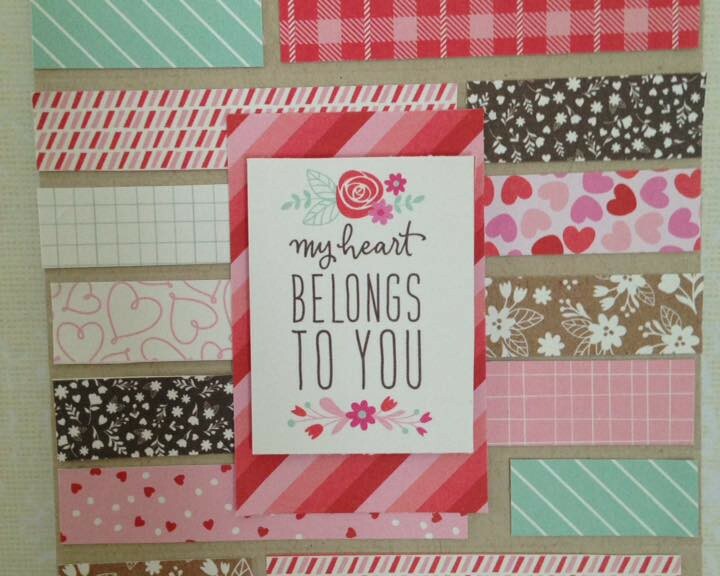 I layered the black card stock behind the stamped piece, offsetting them a bit. I adhered both to the card front. 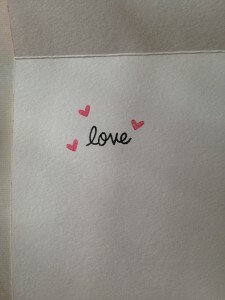 Then, I stamped the sentiment. 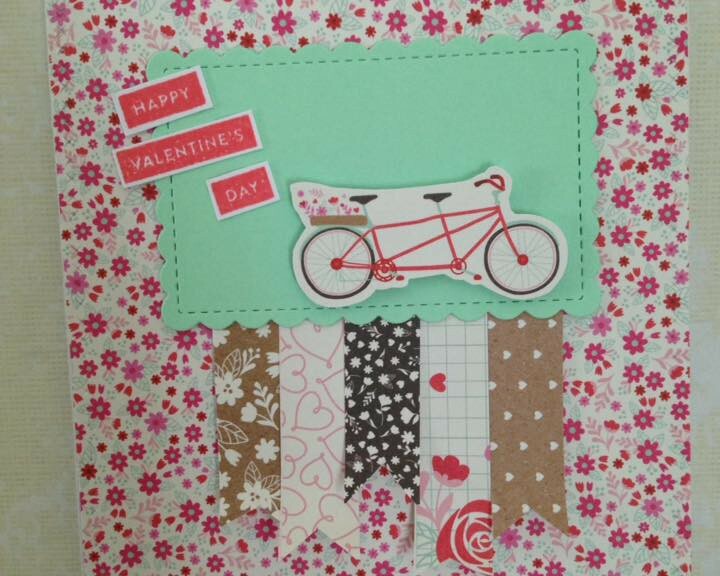 I couldn’t bear to waste the extra stamped background, so I added it to the inside of the card. 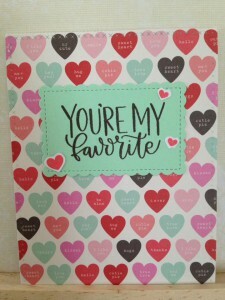 I added a sentiment to the inside and the card was done.